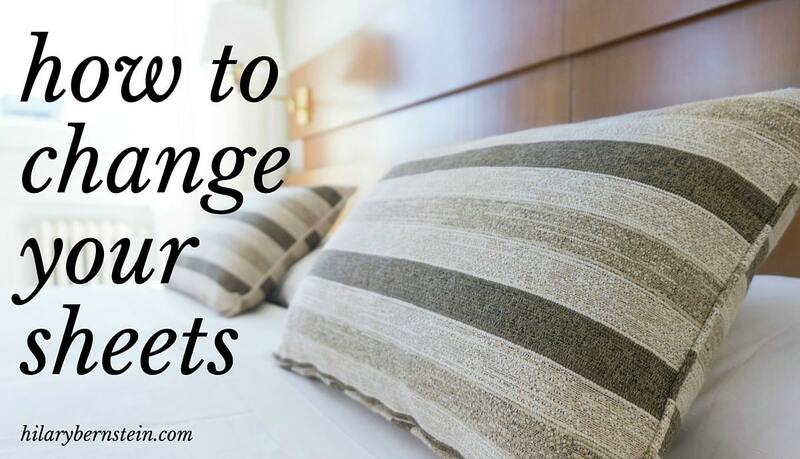 Ever wondered how to change your sheets? Here’s an easy step-by-step tutorial! My very first homemaking chore I do every single morning is to make my bed. I think it starts my day off right – and I make sure to make my bed as soon as I get up, so there’s no temptation to crawl back under the covers. 3. Arrange your pillows on top. But when it comes to changing your sheets … how do you do it? 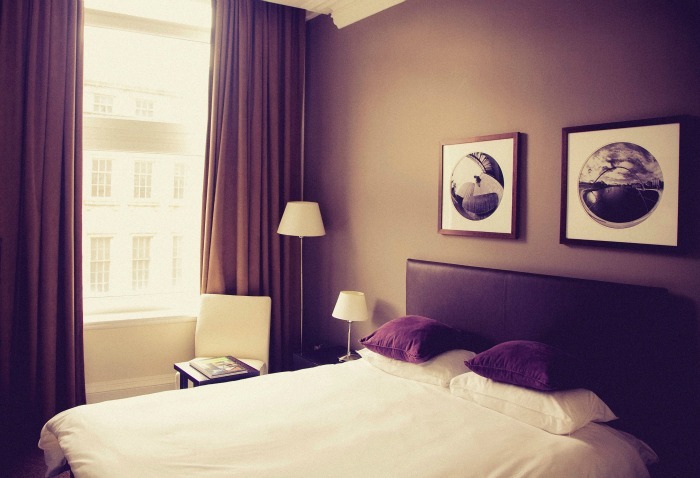 One rule of thumb is to start with clean sheets. I’ve never ironed sheets a day in my life and I never plan on it. Instead, I make sure to take my clean sheets out of the dryer once the cycle is over and fold them – or put them back on my bed – before they have a chance to get wrinkled. 1. Stretch and secure a fitted sheet over your mattress. 2. Spread a flat sheet over the fitted sheet, wrong side up. For my entire life I was taught to spread my flat sheet right side up, but I never saw the full patterns of the sheets. Just over Christmas break, when I was changing my daughter’s sheets with a brand new flannel Frozen sheet set, I realized the flat sheet was softer – and she could actually see the print – if I spread the sheet wrong side up. After that, I read that professional bed makers suggest the wrong side up – so when you pull back your covers, you can see the pattern. Makes perfect sense! Tuck the hem of the sheet evenly under the foot of the mattress. Then, move to one side of the bed and, about 12 inches from the foot of the bed, grab the hem of the sheet. Lift up to make a triangle. Tuck the bottom half of the triangle under the mattress. Fold the top half of the triangle and tuck it snugly under the mattress. Repeat on the other side of the mattress. How to Tuck in Sheet Corners – HilaryBernstein.com from Hilary Bernstein on Vimeo. 3. Put your pillows in fresh pillowcases and arrange at the head of your bed. Now you’re finished changing your sheets! Once you have a little bit of practice, it gets easier … and your bed will look nice! How often do you change your sheets? Who taught you how to change sheets? I’ve been making my bed flat sheet wrong side up for years but have always been told by everyone I was doing it wrong! I like getting in bed in between the two softest sides of my sheets!!! How often I change them-probably not enough! But did the kids’ beds today. My mom taught me and her mom was a nurse. And my husband -also nurse -also was picky about the sheets & esp the corners from nursing school! On occasion we have a house cleaner that changes sheets too. And she does it the proper way so I figured I was wrong! But I can’t seem to change the habit. Maybe after this I will !